IBM - 33L3128 IBM-512MB 133MHZ PC133 168-PIN CL3 ECC REGISTERED SDRAM RDIMM GENUINE IBM UPGRADE MEMORY FOR ESERVER XSERIES 330 340 NETFINITY (33L3128). NEW BULK. IN STOCK. FOR SERVER ONLY.SHIP SAME DAY. IBM - 33L3326 IBM-1GB 133MHZ PC133 168-PIN CL3 ECC REGISTERED 128X72 SDRAM DIMM GENUINE IBM MEMORY FOR ESERVER XSERIES X220 230 232 330 340 420 IBM NETFINITY (33L3326). NEW BULK. IN STOCK.SHIP SAME DAY. IBM - 33L3120 IBM-1GB 100mhz PC-100 168-PIN DIMM ECC REGISTERED (128X72) SDRAM GENUINE IBM MEMORY FOR NETFINITY (33L3120). NEW BULK. IN STOCK.SHIP SAME DAY. IBM - 33L3130 IBM-1GB 133MHZ PC133 168-PIN CL3 ECC REGISTERED SDRAM DIMM GENUINE IBM MEMORY FOR ESERVER XSERIES X2202 30232 330 340 420 IBM NETFINITY (33L3130). NEW BULK. IN STOCK. SHIP SAME DAY. IBM - 31P8420 IBM-1GB 133MHZ PC133 168-PIN CL3 ECC REGISTERED SDRAM DIMM GENUINE IBM MEMORY FOR ESERVER XSERIES X220 230 232 330 340 420 IBM NETFINITY (31P8420). NEW BULK. IN STOCK. SHIP SAME DAY. 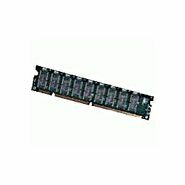 IBM - 31P8300 IBM-1GB 133MHZ PC133 168-PIN CL3 ECC REGISTERED SDRAM DIMM GENUINE IBM MEMORY FOR ESERVER XSERIES X220/230/232/330/340/420 IBM NETFINITY (31P8300). NEW BULK. IN STOCK. SHIP SAME DAY. IBM - 33L3129 IBM-1GB 133MHZ PC133 168-PIN CL3 ECC REGISTERED SDRAM DIMM GENUINE IBM MEMORY FOR ESERVER XSERIES X220 230 232 330 340 420 IBM NETFINITY (33L3129). NEW BULK. IN STOCK. SHIP SAME DAY. IBM - 33L3327 IBM-1GB 133MHZ PC133 168-PIN CL3 ECC REGISTERED SDRAM DIMM GENUINE IBM MEMORY FOR ESERVER XSERIES X220 230 232 330 340 420 IBM NETFINITY (33L3327). NEW BULK. IN STOCK. SHIP SAME DAY. IBM - 33L3153 IBM-1GB 133MHZ PC133 168-PIN CL3 ECC REGISTERED SDRAM DIMM GENUINE IBM MEMORY FOR ESERVER XSERIES X220 230 232 330 340 420 IBM NETFINITY (33L3153). NEW BULK. IN STOCK. FOR SERVER ONLY. SHIP SAME DAY. IBM - 33L3065 IBM-1GB 133MHZ PC133 168-PIN ECC REGISTERED SDRAM RDIMM GENUINE IBM MEMORY FOR NETFINITY X3500 4000 4500 5100 XSERIES 240 (33L3065). NEW BULK. IN STOCK. FOR SERVER ONLY.SHIP SAME DAY. IBM - 33L3064 IBM-1GB 133MHZ PC133 168-PIN ECC REGISTERED SDRAM RDIMM GENUINE IBM MEMORY FOR NETFINITY X3500 4000 4500 5100 XSERIES 240 (33L3064). NEW BULK. IN STOCK. FOR SERVER ONLY.SHIP SAME DAY. IBM - 10K0023 IBM-512MB 133MHZ CL3 168-PIN ECC REGISTERED SDRAM RDIMM GENUINE IBM UPGRADE MEMORY FOR ESERVER XSERIES 330 340 NETFINITY (10K0023). NEW BULK. IN STOCK.FOR SERVER ONLY.SHIP SAME DAY. 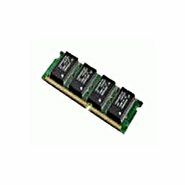 IBM - 33L3324 IBM-512MB 133MHZ PC133 168-PIN CL3 ECC REGISTERED SDRAM RDIMM GENUINE IBM UPGRADE MEMORY FOR ESERVER XSERIES 330 340 NETFINITY (33L3324). NEW BULK. IN STOCK. FOR SERVER ONLY.SHIP SAME DAY. 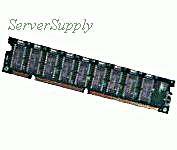 IBM - 10K0022 IBM-512MB 133MHZ PC133 168-PIN CL3 ECC REGISTERED SDRAM RDIMM GENUINE IBM UPGRADE MEMORY FOR ESERVER XSERIES 330 340 NETFINITY (10K0022). NEW BULK. IN STOCK. FOR SERVER ONLY.SHIP SAME DAY. 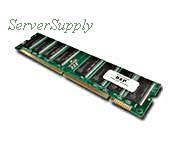 IBM - 33L3325 IBM-512MB 133MHZ PC133 168-PIN CL3 ECC REGISTERED SDRAM RDIMM GENUINE IBM UPGRADE MEMORY FOR ESERVER XSERIES 330 340 NETFINITY (33L3325). NEW BULK. IN STOCK. FOR SERVER ONLY. SHIP SAME DAY. 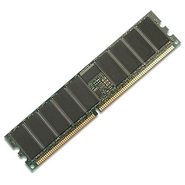 IBM - 01K8046 01K8046 IBM 1GB 50ns DIMM 168-Pin SDROM IBM Memory For Netfinity. New Bulk Pack. 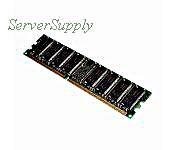 IBM - 33L3147 33L3147 IBM 2GB 4X512 SDRAM DIMM PC-100 ECC Memory Kit For Netfinity Servers. New Bulk Pack.